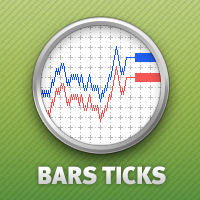 This tick indicator draws synthetic bars/candlesticks that contain a definite number of ticks. 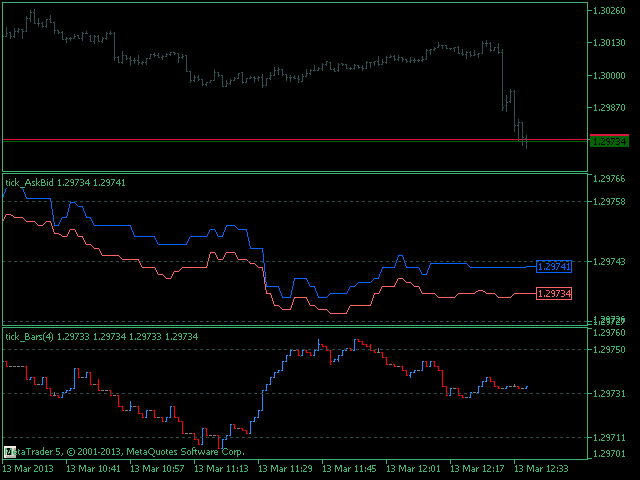 option prices - price option. It can be Bid, Ask or (Ask+Bid)/2. the number of ticks to identify Bar - number of ticks that form OHLC. calculated bar - number of bars on the chart. 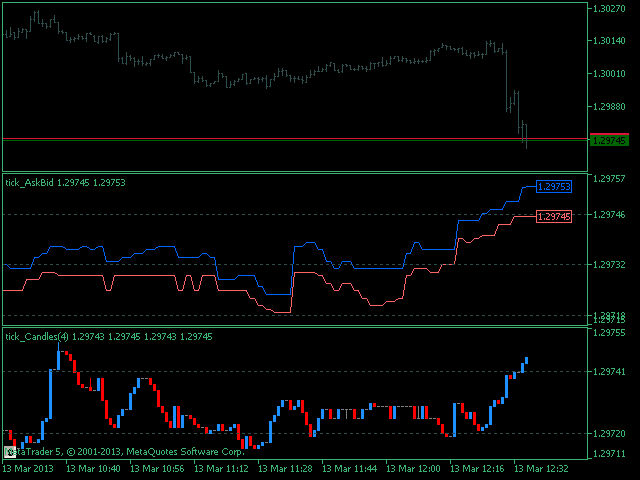 Buffer indexes: 0 - OPEN, 1 - HIGH, 2 - LOW, 3 - CLOSE.